Shopping online can be daunting if you’re a first timer! 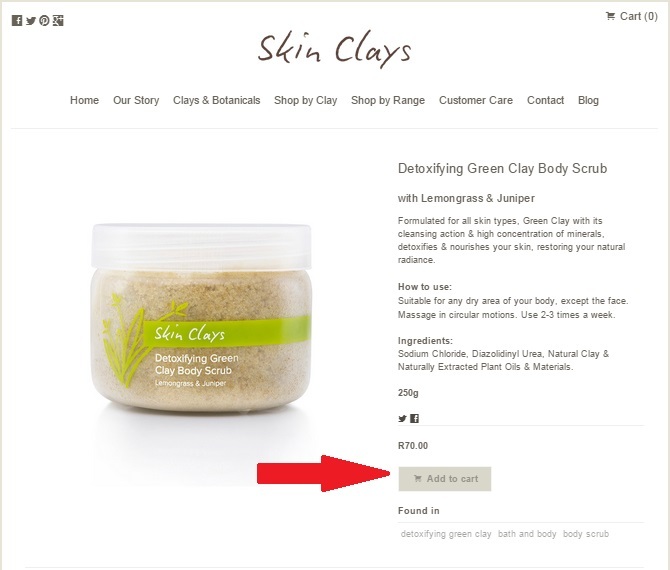 The team at Skin Clays have set up a quick step-for-step guide to show you how you can easily purchase your favourite Skin Clays products online from our newly launched site. We hope you find this helpful. The first step is to browse the site to find the product you would like to purchase. 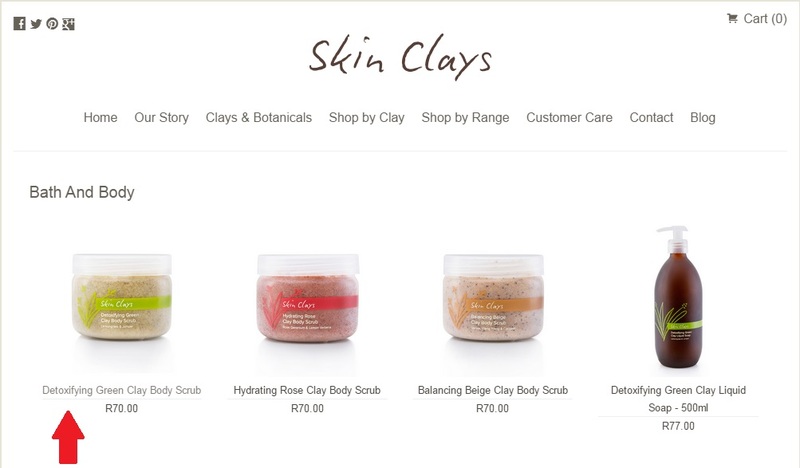 You can either shop by clay range (Balancing Beige Clay, Hydrating Rose Clay, Detoxifying Green Clay, Healing African Clay) or by range type (Skin Care, Bath and Body, or Lifestyle and Gifts). Depending on the range or clay range you have selected, you will be directed to a page like the one below. Once you have decided what product you want to purchase you can click on the specific product. 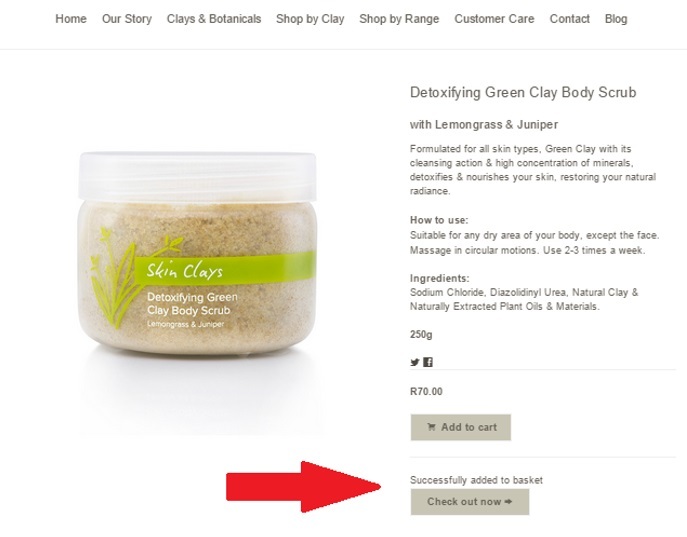 Next, Click “add to cart” to add the product to your “shopping basket” or “shopping cart”. If you can see the message “successfully added to basket”, you’re on the right track. If you would like to finish your purchase, you can click on the “check out now button”. Alternatively, you can continue shopping and add additional products to your basket by repeating the process up until now. If you would like the view the products in your baskets click on “cart”. Once you have clicked on either “check out now” or “cart”, you will be diverted to the page shown below. If you would like to continue shopping, click “Keep Browsing Shop”. If you are ready to check out, click on “Next. 2: Your details”. Once you have entered your details and selected your delivery/ collection option, tick the accept terms, and conditions box, and click on “Next: 3. Order summary”. In the last step, you are required to complete the payment. Once this has been done, your order has been successfully placed. It’s as simple as that! Please consider our payment, delivery, collection, and returns information below before making your purchase to ensure that you have everything you need to receive your goods in good order. Skin Clays accepts payment with PayFast and EFT (Electronic Funds Transfer). Note that you are not obliged to have a PayFast account to pay by credit card. 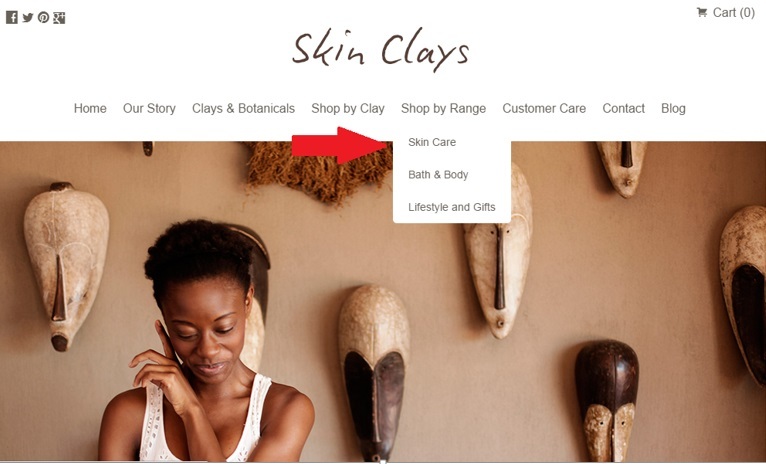 All Skin Clays product prices are in ZAR (South African Rands) and exclude shipping costs. 4 Flamingo Close Rosendal Durbanville. Please phone 083 264 9498 to make an appointment for collection. We sell all of our products with a Satisfaction Guarantee to ensure that you are completely satisfied with your purchases. Should there be a problem with your purchase, please make sure that you notify us within 7 days of receipt of your parcel. Damaged goods will be either replaced or refunded. You are responsible for postage costs of returning the item. We recommend using registered mail to return items, as we are not liable for any items lost in the post. If for some reason you are not satisfied with your purchase, you may return the item at your expense. On receipt of the goods we will refund. You can view information on our payment options, delivery and return online on our Customer Care page. View the terms of using our website here. We hope you found this guide helpful. If you have any issues during your online shopping experience, feel free to contact us. 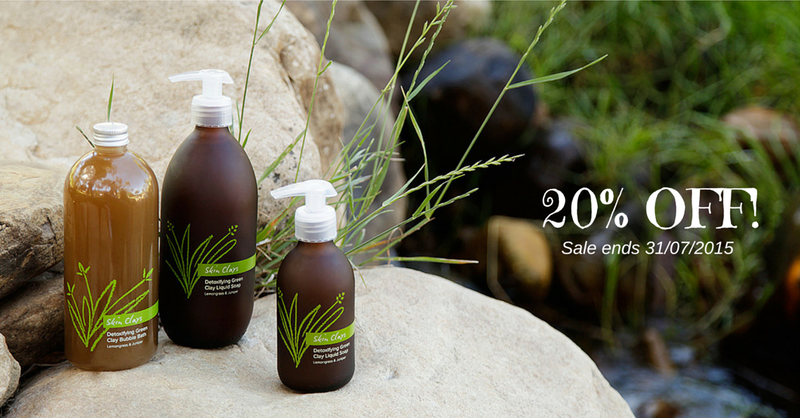 We’re running a limited winter sale, shop online at Skinclays.co.za until the 31st of July 2015 and receive 20% off your purchase!